Performers include: Christine Baranski, Cush Jumbo, Rose Leslie, Delroy Lindo, Erica Tazel, Sarah Steele, and Justing Bartha. 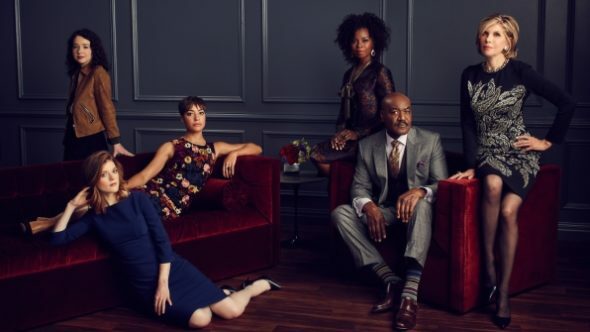 A spin-off, The Good Fight picks up one year after the events of The Good Wife TV series finale. In the wake of the 2017 presidential inauguration, Diane Lockhart (Christine Baranski) decides to move to France. She plops down a down payment on a home in Provence and tenders her resignation. Her goddaughter, Maia Rindell (Rose Leslie) is just starting out at the firm when word breaks that her parents have perpetrated a huge financial scam. Now, Maia’s reputation is trashed, and Diane’s savings are wiped out. No longer welcome at Lockhart & Lee, Maia and Diane join Lucca Quinn (Cush Jumbo) at a prominent Chicago law firm. What do you think? Do you like The Good Fight TV show? Do you think it should be cancelled or renewed for another season?